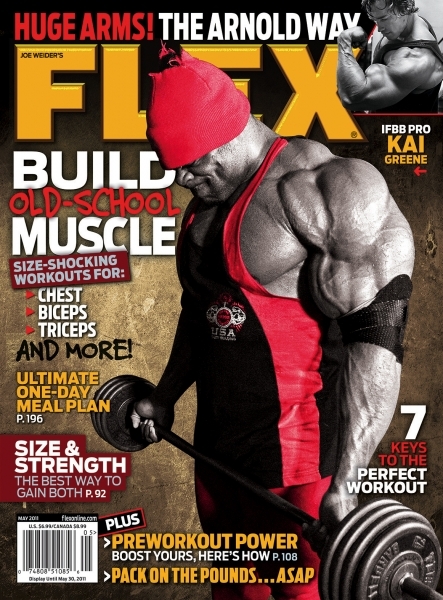 Abiad's leg training straight from the pages of the May issue of FLEX! From the pages of FLEX straight to your computer, we bring you "Training Day with Fouad Abiad." This is an exclusive behind-the-scenes look at the workout featured in the May issue of FLEX. This was no staged photo shoot; just 2 days after the FLEX Pro, Abiad ran through a real workout and FLEX got the whole thing on film. If you want to get the inside story of how Abiad built a great set of wheels, you'll have to pick up the May issue of FLEX. In the meantime, here's your chance to see Abiad put his words into action! Don't miss Abiad's training tips throughout the video! CLICK HERE FOR THE VIDEO: TRAINING DAY with FOUAD ABIAD! PICK UP THE CURRENT ISSUE OF FLEX TO SEE MORE!